No color anywhere at the Tidal Basin. A little color around the Washington Monument. They always bloom a little earlier. It was a nice walk around DC and then home to make Corn beef and Cabbage. Got to love an Instant Pot. 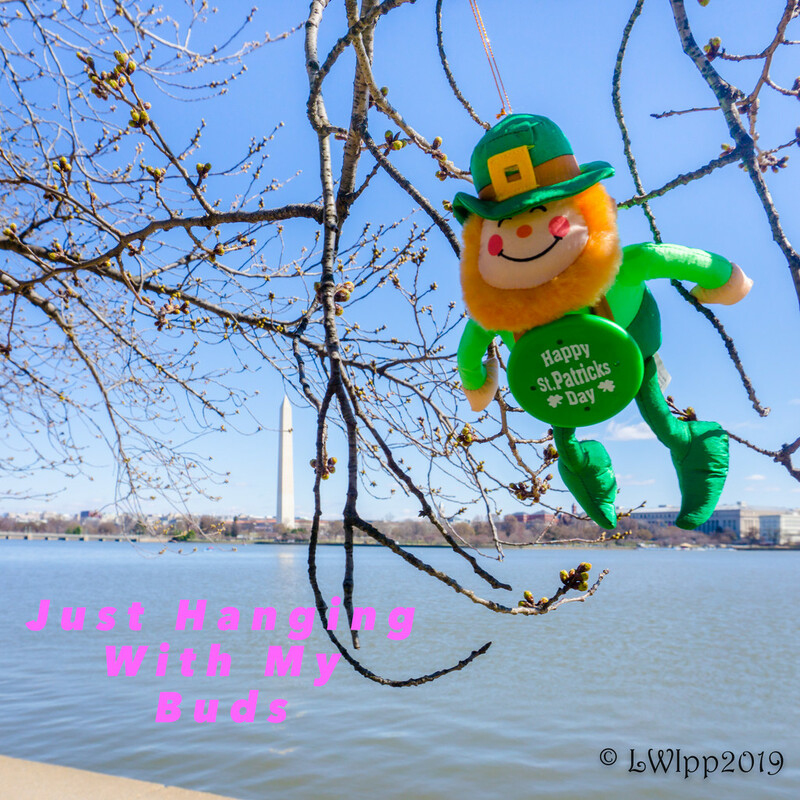 Tags leprechaun, cherry tree, tidal basin, washington monument"
I was in Washington and Maryland during Rainbow Month last year and was very frustrated. Because while it is so photogenic, there are very few vivid colors to be found this time of year. I thing they should move Rainbow Month to a time of year that is more festive and more floral. Your photo makes me feel sad for whoever lost their balloon. He's a jovial wee Irishman! Makes everyone smile! this has got to be you and only you! aces, my friend. He he ... fun shot!